Planning a wedding can get incredibly stressful for many couples because the process is unfamiliar to them. While Pinterest may be a wellspring of ideas, they aren’t always realistic options that can be implemented into your wedding day. If you are ready to get started, here are 3 pieces of wedding planning advice to help brides-to-be put their best foot forward. Do you have a credit card that provides get cash-back or rewards? You could save money on your wedding or accumulate airline miles just by shopping for the things you already planned to. Whenever possible, pay off this debt as soon as you can and don’t let it compound otherwise this isn’t smart wedding planning advice. You don’t want to start your married life dealing with back payments for the wedding. If you have a can-do attitude there is likely no limit to what you can do when planning your wedding. Get a binder that can store all of your important documents and proposals to keep them tidy and in one place. With the reliance on digital communication becoming so prevalent, it may also be a good idea to create a new email address that can focus solely on the wedding planning. While a wedding is symbolic, you aren’t technically married until the paperwork has been signed. 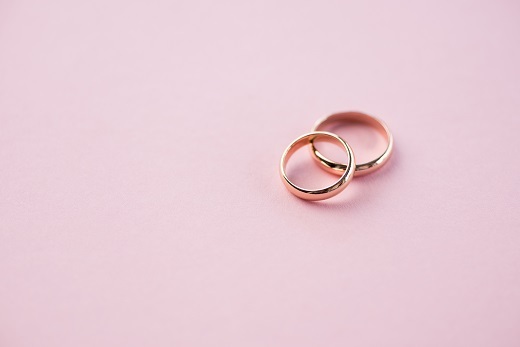 For this reason, it is important to ensure you have obtained a marriage license prior to your special day to make sure everything goes smoothly. Just keep in mind, most marriage licenses are only valid for a short period of time before they must be renewed. Check locally to find out your requirements and timetables!